In the current era of the Sustainable Development Goals (SDGs), many countries are attempting to strengthen their health system and achieving Universal Health Coverage (UHC). The Korean National Health Insurance (NHI) system functions as a core element of health financing, contributing to achieving UHC by promoting public health and social security through insurance benefits for prevention, diagnosis, treatment, rehabilitation, childbirth, and health promotion. The Republic of Korea achieved 100% NHI coverage of the target population in 1989, 12 years after the introduction of the social insurance system. However, poor coverage of health services and lack of financial protection are major obstacles to achieving UHC. Therefore, the Korean government announced and implemented ‘Moon Jae-in Care’ in August 2017 to enhance the coverage rate of NHI by 70%. First, this study reviews the existing health insurance system in Korea from the perspective of health financing and UHC. Second, it analyses ‘Moon Jae-in Care’, based on the main framework of UHC. Third, it considers the ethical implications of these developments, with focus on the principles of equity, fairness, autonomy, and solidarity. Although the NHI reform is expected to propel Korean health care closer to UHC, many ethical, social, and political issues remain. Kang, Hee-Chung (강희정). 2018. 문재인 케어의 쟁점과 정책 방향 (Issues and policy options for Moon Jae-in Care). Health and Welfare Policy Forum 225: 23–37. https://www.kihasa.re.kr/web/publication/periodical/view.do?menuId=48&tid=38&bid=19&aid=411&ano=3. Accessed 4 June 2018. Kim, Yoon. 2017. Appraisal and success strategy of the Moon Jae-in Care. Journal of Rheumatic Diseases 24 (Suppl 2): 43–50. 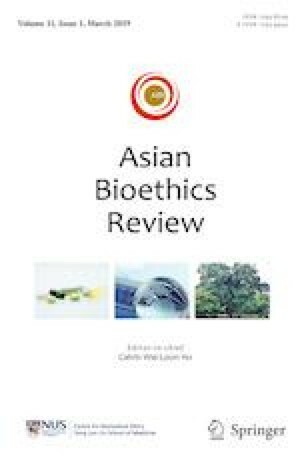 http://www.dbpia.co.kr/Journal/PDFViewNew?id=NODE07240759&prevPathCode=. Accessed 19 Sept 2018. Lee, Sang Ah (이상아) and Eun-Cheol Park (박은철). 2017. 건강보험 40년의 주요 지표 (Main indicators of National Health Insurance during 40 years). Health Policy and Management 27 (3): 267–271. https://doi.org/10.4332/KJHPA.2017.27.3.267. Ministry of Health and Welfare. 2017a. Strategy of improvement of the National Health Insurance Coverage in Republic of Korea. Seoul: Ministry of Health and Welfare. http://www.mohw.go.kr/react/al/sal0301vw.jsp?PAR_MENU_ID=04&MENU_ID=0403&page=4&CONT_SEQ=340973&SEARCHKEY=TITLE&SEARCHVALUE=%EA%B1%B4%EA%B0%95%EB%B3%B4%ED%97%98. Accessed 20 Sept 2018. Ministry of Health and Welfare. 2017b. The white paper of health and welfare in Republic of Korea 2016. Seoul: Ministry of Health and Welfare. http://www.mohw.go.kr/react/gm/sgm0601vw.jsp?PAR_MENU_ID=13&MENU_ID=1304020201&SEARCHKEY=&SEARCHVALUE=&page=3&CONT_SEQ=292949. Accessed 26 Jan 2018. OECD – Organization for Economic Cooperation and Development. 2012. OECD health care quality review: Korea assessment and recommendations. Paris: Organization for Economic Cooperation and Development. http://www.oecd.org/korea/49818570.pdf. Accessed 30 Apr 2018. OECD – Organization for Economic Cooperation and Development. 2016. OECD health data 2016: Health and social affairs statistical yearbook. Paris: Organization for Economic Cooperation and Development. https://www.oecd.org/els/health-systems/Table-of-Content-Metadata-OECD-Health-Statistics-2016.pdf. Accesed 4 May 2018. OECD – Organization for Economic Cooperation and Development. 2017. Health at a glance 2017: OECD indicators. Paris: Organization for Economic Cooperation and Development. https://www.health.gov.il/publicationsfiles/healthataglance2017.pdf. Accessed 30 Apr 2018. Park, Eun-Cheol (박은철). 2017a. Editorial: 국민건강보험 발전방향 (Editorial: Future direction of National Health Insurance). Health Policy and Management (한국보건행정학회지) 27 (4): 273–275. https://doi.org/10.4332/KJHPA.2017.27.4.273. Park, Eun-Cheol (박은철). 2017b. Editorial: 문재인 정부의 건강보험 보장성 강화대책 (Editorial: Moon Jae-in government’s plan for benefit expansion in National Health Insurance). Health Policy and Management (한국보건행정학회지) 27 (3): 191–198. https://doi.org/10.4332/KJHPA.2017.27.3.191. Sachs, Jeffrey, Guido Schmidt-Traub, Christian Kroll, David Durand-Delacre and Katerina Teksoz. 2017. SDG index and dashboards report 2017. New York: Bertelsmann Stiftung and Sustainable Development Solutions Network. http://www.sdgindex.org/assets/files/sdg_index_and_dashboards_compact.pdf. Accessed 2 March 2018. Seo, Nam-gyu, Tae-uk Gang, Sun-im Heo, Hye-jae Lee, Dong-su Kim, Byung-muk Im, Sook-rang Jang, Ki-myung Hong, Sei-hwan Jeong and Young-ho Oh. 2016. Korea health panel in-depth analysis report 2016: Health system based on health indicators in Republic of Korea. Wonju: National Health Insurance Service. http://www.google.com/url?sa=t&rct=j&q=&esrc=s&source=web&cd=1&ved=2ahUKEwiaiNLI7-bdAhUGZt4KHSYuDyoQFjAAegQICRAC&url=http%3A%2F%2Fwww.khp.re.kr%2Fcommon%2Ffiledown.do%3Fseq%3D264&usg=AOvVaw3XvffTbhkUXAEEIxq0SkPI. Accessed 18 Sept 2018. Stuckler, David, Andrea B. Feigl, Sanjay Basu and Martin Mckee. 2010. The political economy of universal health coverage (background paper for the global symposium on health systems research). Geneva: World Health Organization. http://www.pacifichealthsummit.org/downloads/UHC/the%20political%20economy%20of%20uhc.PDF. Accessed 8 June 2018.
WHO – World Health Organization. 2010. Health systems financing: The path to universal coverage. Geneva: World Health Organization. http://www.who.int/whr/2010/whr10_en.pdf?ua=1. Accessed 11 June 2018.
WHO – World Health Organization. 2017. World health statistics 2017: Monitoring health for the Sustainable Development Goals. Geneva: World Health Organization. https://apps.who.int/iris/bitstream/handle/10665/255336/9789241565486-eng.pdf?sequence=1. WHO – World Health Organization. n.d. Out-of-pocket payment, user fees and catastrophic expenditure. Accessed 8 June 2018. http://www.who.int/health_financing/topics/financial-protection/out-of-pocket-payments/en/. WHO and The World Bank – World Health Organization and the International Bank for Reconstruction and Development, The World Bank. 2017. Tracking universal health coverage: 2017 global monitoring report. Licence: CC BY-NC-SA 3.0 IGO. Geneva: World Health Organization. http://apps.who.int/iris/bitstream/handle/10665/259817/9789241513555-eng.pdf?sequence=1. Accessed 11 June 2018. WPRO - World Health Organization Regional Office for the Western Pacific. 2016. Universal health coverage: moving towards better health - Action framework for the Western Pacific region. Manila: World Health Organization. http://iris.wpro.who.int/bitstream/handle/10665.1/13371/9789290617563_eng.pdf?ua=1. Accessed 20 May 2018. Yoo, Ilho. 2008. Korea’s economic development: Lessons and suggestions for developing countries. Korean Social Science Journal 32(1): 31–63. http://www.kossrec.org/wp-content/uploads/2015/04/KSSJ_200806_2_%EC%9C%A0%EC%9D%BC%ED%98%B8.pdf. Accessed 30 Sept 2018.